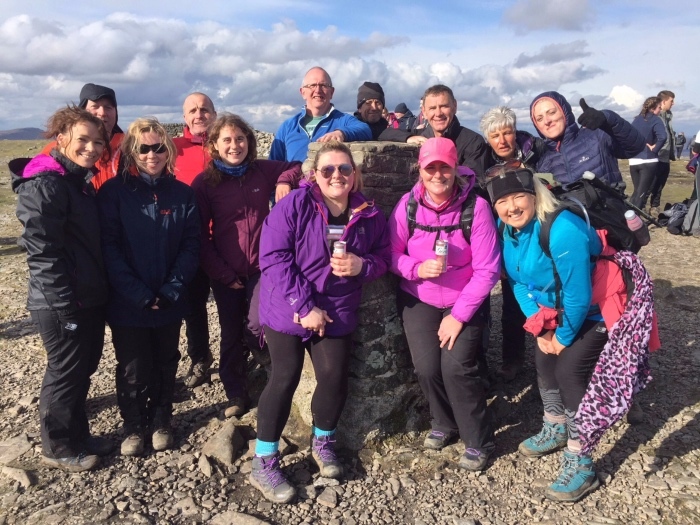 The Yorkshire Three Peaks – known as Britain’s classic hillwalking challenge – is a tough 25-mile walk through the idyllic Yorkshire Dales, where you summit the peaks of Pen-y-ghent, Whernside and Ingleborough, in under 12-hours. This is a fully organised and supported guided walk. You will be with a small group led by one of our excellent Mountain Leaders. You will be sent training information, kit lists, advice and we offer all the support you need. Our team are here to make sure you have an unforgettable experience. All you have to do is enjoy the day. 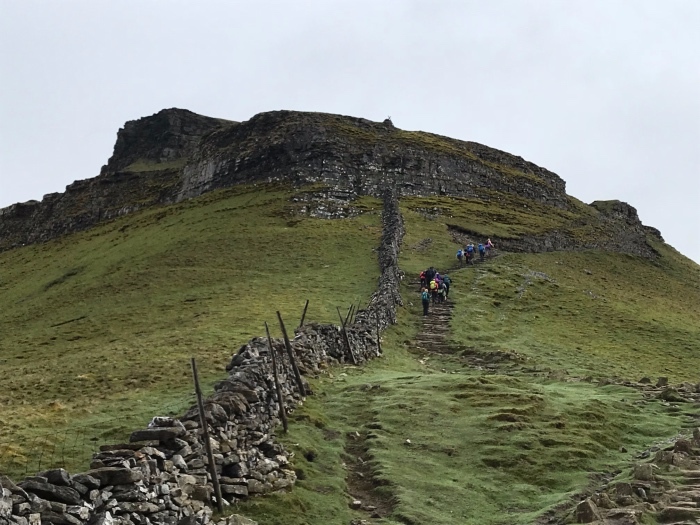 The Yorkshire Three Peaks in one the toughest walking challenges and a chance to push yourself further than ever before. 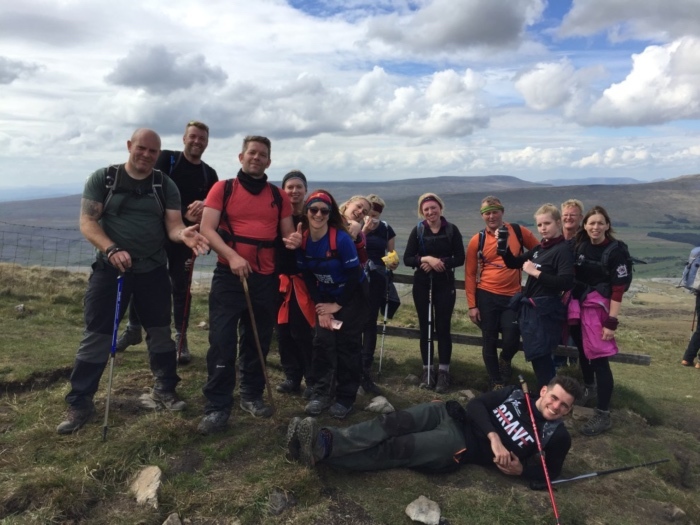 Are you ready for the Yorkshire Three Peaks Challenge? We provide checkpoints where you can get refreshments, top up your water, have some snacks, and we can even drive you back to Horton if you have had enough. We make sure you are well looked after from the moment you arrive to finishing the challenge. 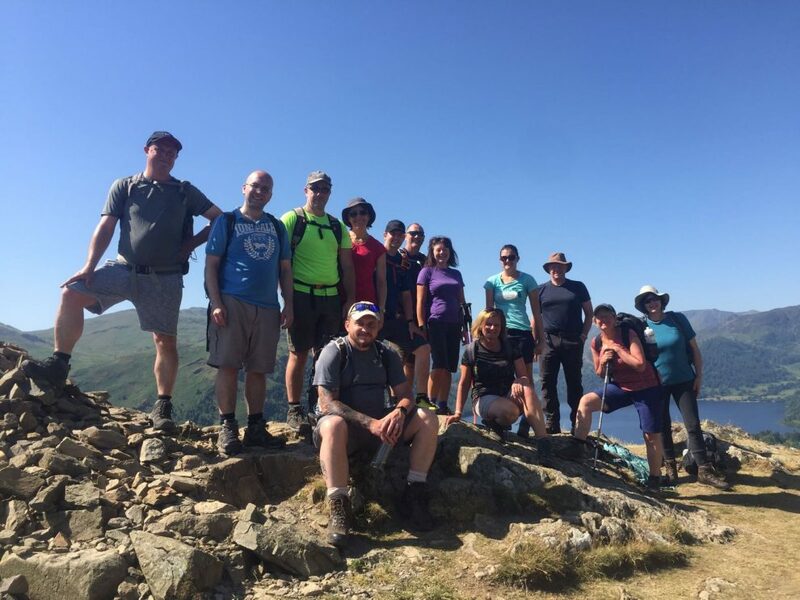 This is a fully guided small group walk so you will be with one of our Mountain Leaders every step of the way. The Yorkshire Three Peaks Challenge will start and finish in Horton in Ribblesdale. The walk is a very early start (6.45am meet) so we suggest staying in the area before. 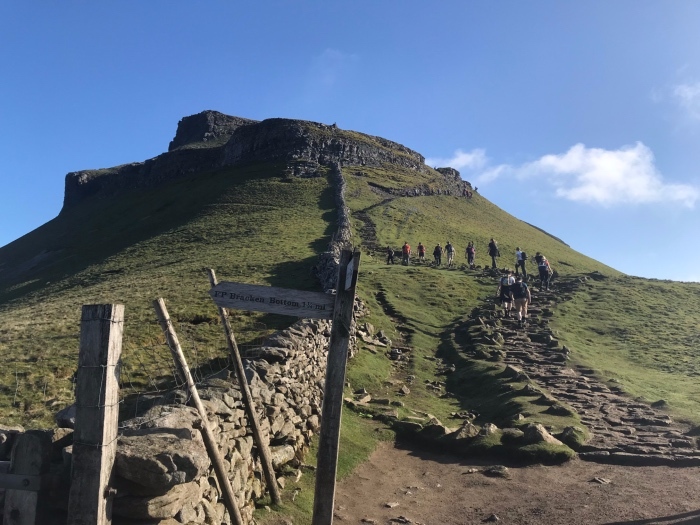 The Yorkshire Three Peaks Challenge is extremely tough and you will need a very good level of fitness to complete the walk. We highly recommend training for this challenge and ensuring you are prepared for a very long day in the mountains. We will provide a training plan that will help you prepare for the challenge. 4. We email you with all the walk information including kit lists, timings, parking and training plans Simple as that. All walks start at 7.00am (meeting time is 6.45am). An early start as this is a 12 hour walking challenge. *Friday dates are dramatically quieter than weekends. Perfect for anyone wanting to escape the Yorkshire Three Peaks crowds. Q. 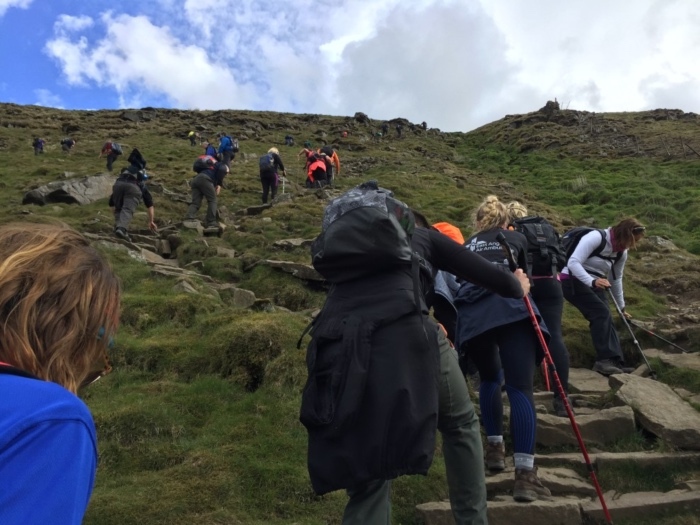 How fit do I need to be to complete the Yorkshire Three Peaks? 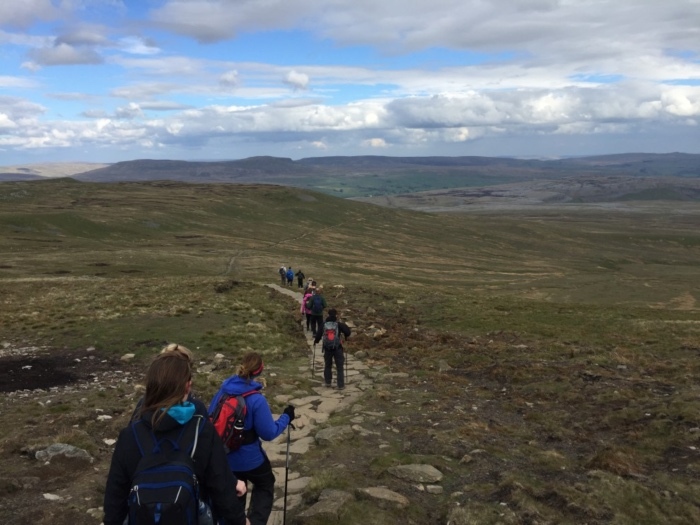 A very good level of fitness is required to complete the Yorkshire Three Peaks Challenge. In terms of physical fitness this walk is just as tough, if not tougher, than the National Three Peaks. You will need to do some training to ensure you are prepared and ready for the challenge and we will email you a training plan when you book. Think of it as walking a marathon and climbing Ben Nevis all within 12-hours. It is tough and very long day. This really depends on your dog and if they are able to complete the walk with you. Due to the length and difficulty of the walk we would advise you not to bring your dog, especially as a few sections require easy scrambling, and looking after your dog may become a hindrance. Q. Is this a guided group walk? Yes, you will spend the whole day in a small group led by one of our Mountain Leaders. You will be looked after every step of the way. Q. Can I come on my own? We always have several people who come on their own so you will have people to chat with and you will be made to feel comfortable with the whole group. 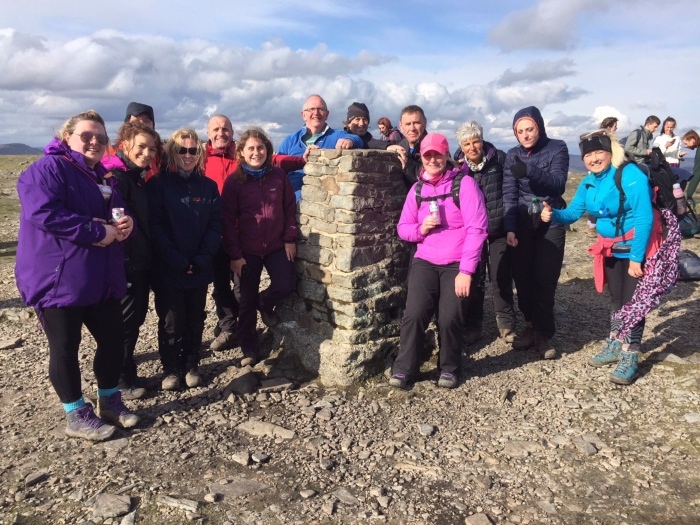 Whether you come alone, or with friends and family, we want you to enjoy your Yorkshire Three Peaks Challenge. Q. What if I need to pull out? 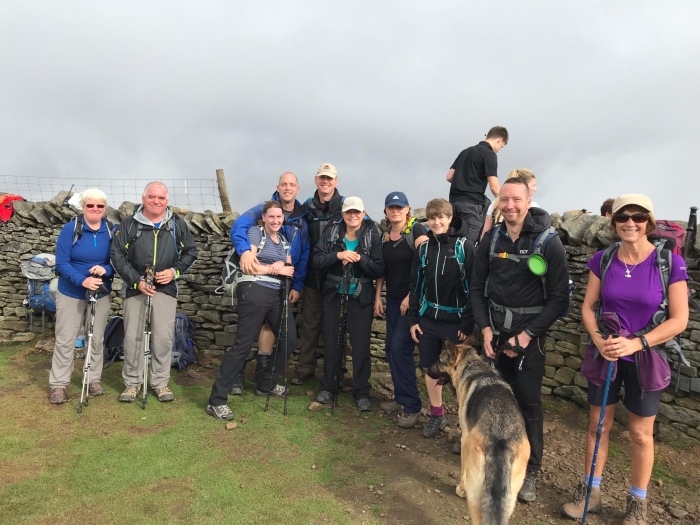 All our Yorkshire Three Peaks Challenges are fully supported. At two checkpoints, we can take you back to Horton with no fuss. Our checkpoints are also a chance to top up your water and we have more chocolate and snacks than you can possibly eat! Q. What time does it start? Each Yorkshire Three Peaks Challenge starts at 7.00am in Horton (Ribblesdale). All the logistics for the day will be sent after you have booked by an automatic email. You will need to be at the start location for 6.45am so we can meet you, check kit, and do the briefing. 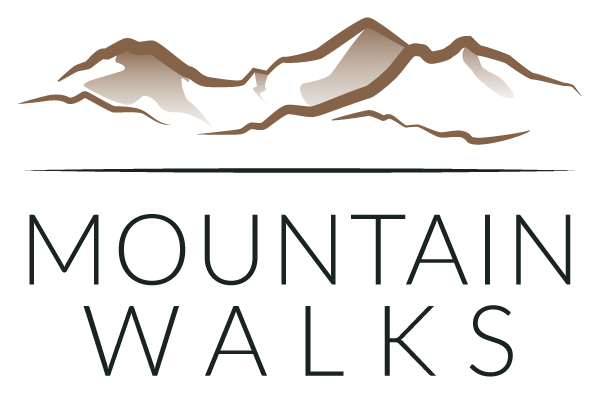 Just regular hillwalking clothing, small rucksack, waterproofs, good walking boots/trekking shoes and plenty of determination. A full kit list will be emailed to you which includes what to bring in terms of kit, food and water. Q. Can I be in the same group as my friends or family? How do the groups work? We don’t put you in groups. Everyone sets off at the same time (normally about 25-30 walkers) and by the time we get half way up the first peak there will be a natural split in the group. Our leaders will then form two-four groups based on speed so walk at your comfortable pace and choose which group you want to filter in to based on your ability. It’s your day and we want you to enjoy it at your own pace. Q. 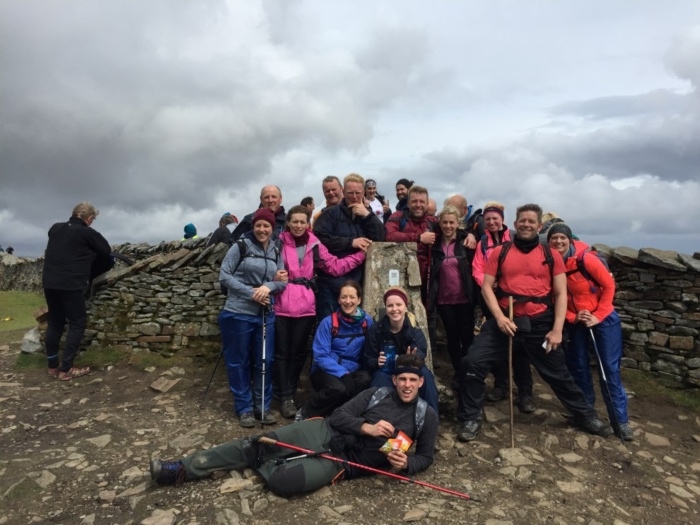 How do I book a place on a Yorkshire Three Peaks Challenge? Choose the date you would like to come and take on the challenge. All our dates for this coming season are on this webpage. You can then book anytime through the web site using the booking calendar near the top of the webpage. We require just a small 35% deposit on booking to reserve a place with the remaining amount due 30-days before the challenge. As soon as you book you will be automatically emailed all the information you need for the challenge so check all your inboxes after booking. Our group walks are small and places do go very quick so please book as soon as possible to avoid missing out. Q. Where should I book accommodation? There are a couple of pubs, B&Bs and a campsite in Horton. Other places to stay include Settle, Ingleton, Giggleswick or the surrounding villages. 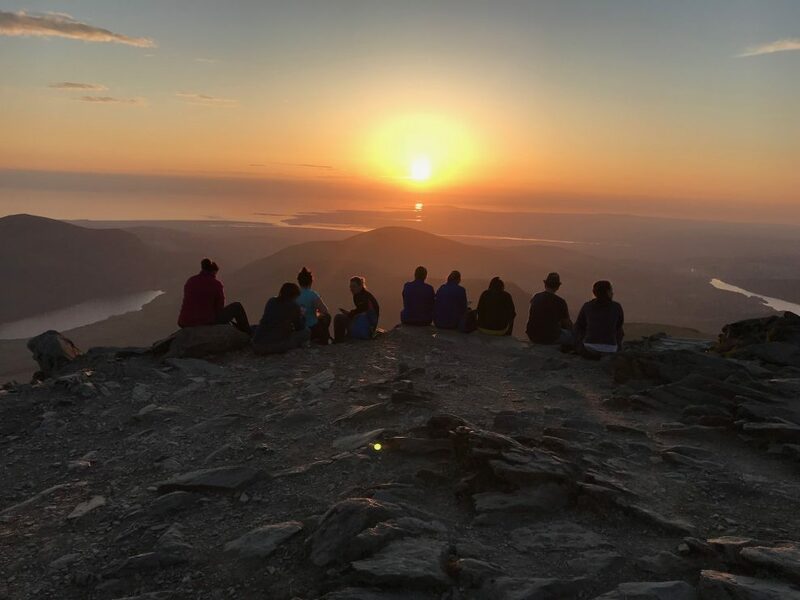 Due to the early start and long day we recommend booking accommodation and as the walks are so popular we recommend booking as soon as possible. Use TripAdvisor or Hotels.com to see what is near Horton in Ribblesdale. Jamie was brilliant. 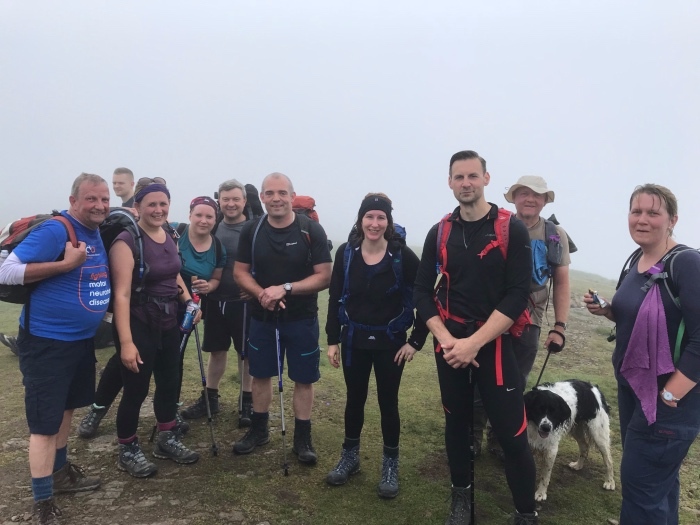 He was supportive, encouraging and humorous, but most of all he was patient and allowed us to go at our own pace which helped us to complete the Yorkshire Three Peaks Challenge. Our guide Sam was brilliant. It was our first guided walk and the overall experience was great. We saw first-hand how having a guide with us was the right decision. He offered humour, conversation and professionalism when it was needed the most. Thank you once more for a great experience. Sam was absolutely fantastic, very encouraging to me (who found myself in a faster group than I should have) and fantastically helpful when my partner twisted his ankle and needed to be collected. I found this challenge…challenging! and was so pleased to be led by such an enthusiastic, knowledgeable and encouraging guide. The guides were very good especially Jo who was leading my group her knowledge of the local area, fitness and walking were excellent. Her encouragement throughout the final peak really helped me focus on getting to the finish point. From start to finish, Jamie has provided fast responses to all email enquiries and with very useful detailed information. 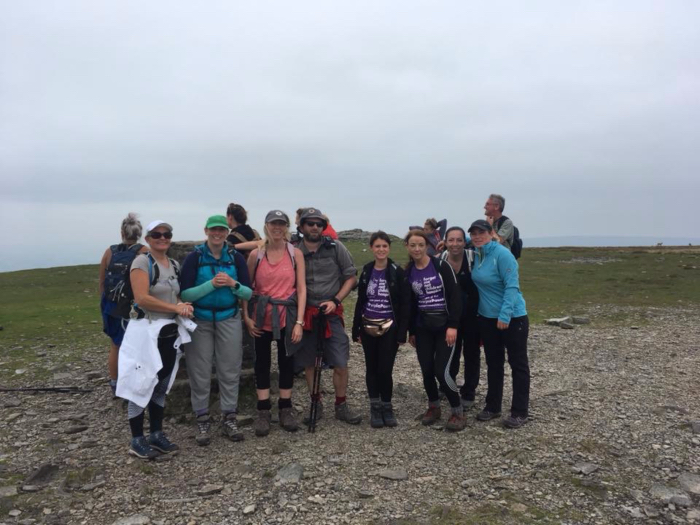 Thank you for supporting us whilst we organised our Yorkshire Three Peaks event, it was a tough day but we loved the whole experience and would do it again! 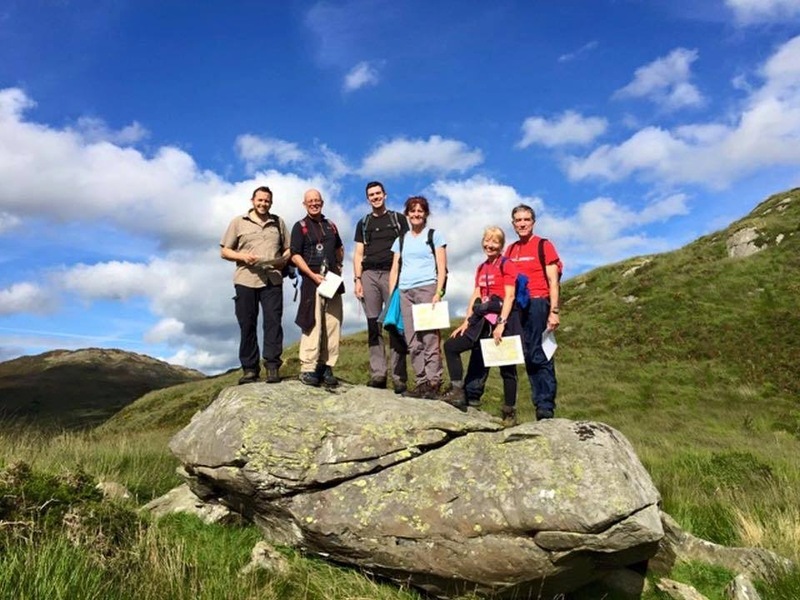 Thanks again Mountain Walks – Jamie, Col & Alice did a fab job! Had a great, if challenging walk, doing the Yorkshire 3 Peaks Challenge. 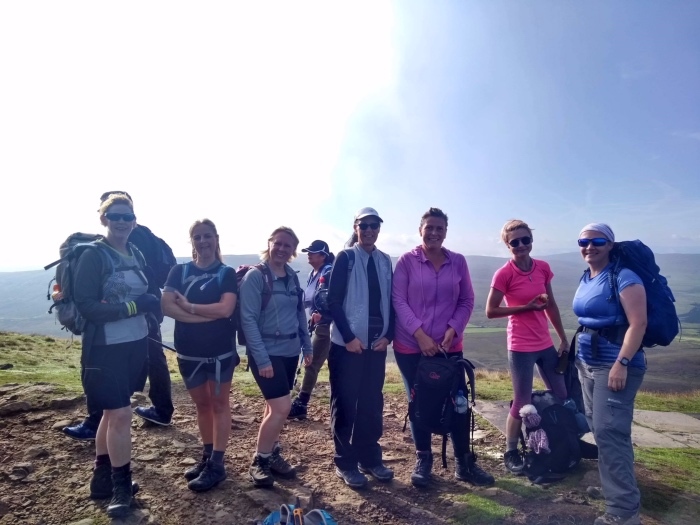 Mountain Walks were fantastic from start to finish…including all the communication beforehand and not forgetting our Guide Kelly who made the challenge bearable even when we were struggling and kept us motivated and because of her we did it in under the 12 hours….just! Highly recommend Mountain Walks. We were the stragglers on the group and I have to say our sheer determination to finish is what did this for us as we may have given up early if the guide hadn’t pushed us to the end. The emails post walk were very informative. The caring nature of the guides to make sure they never left anyone behind. Helping my friend with the sore ankle. The friendly support from the driver, water and chocolate man! Awesome Yorkshire Three Peaks. 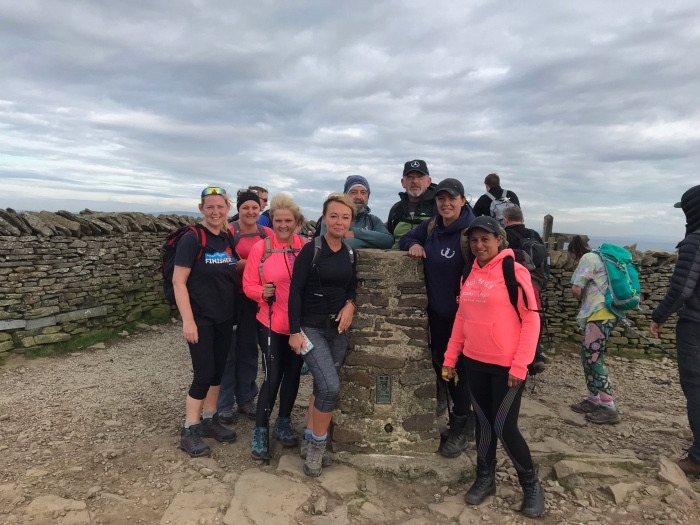 The Yorkshire Three Peaks walk was a fantastic experience which was made more enjoyable by the great staff at Mountain Walks. The communication from the day we booked it to the day we completed the challenge was brilliant. Nothing short of excellent – thank you. 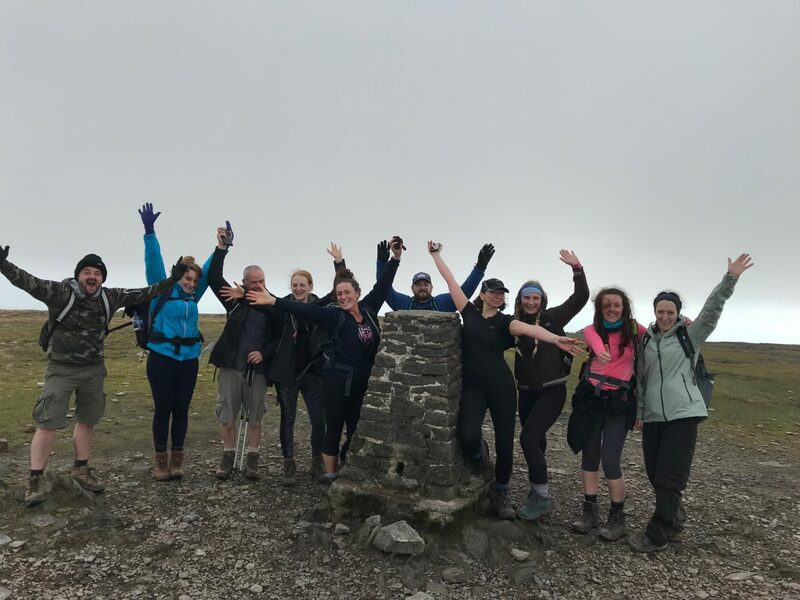 Mountain Walks made my Yorkshire 3 Peaks challenge! They made it happen, they’re arrangements and communication at all times was faultless and the guides were so friendly, helpful and totally made the experience! They were worth their weight in gold! Highly recommend!! I would really recommend Mountain Walks for the Yorkshire Three Peaks challenge. It is a very hard challenge and they look after you all the way along, letting you set the pace. Our guide was encouraging and informative and we all had a great time with loads of banter, even though most of us had not met previously. Pre-walk info was useful and the pre-set off support was great. What are you waiting for? Sign up. Leave the other companies alone. Choose a company that treats you like a person and not a number! Go Mountain Walks!! Really enjoyed completing the Yorkshire 3 Peaks Challenge with Mountain Walks. 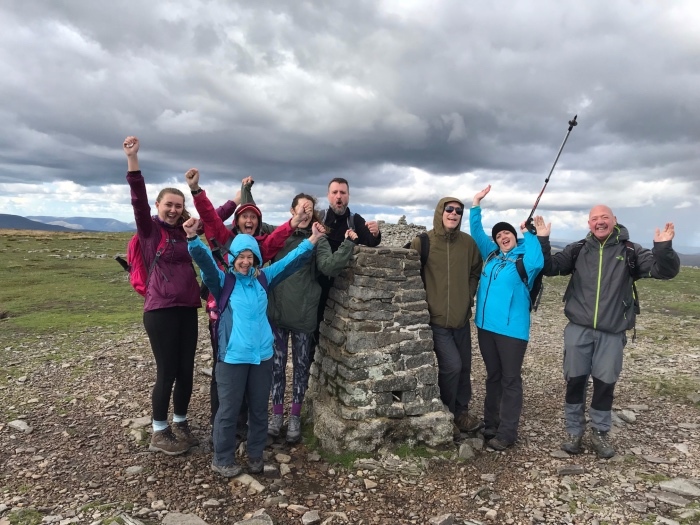 The guides were all very helpful and supportive and gave lots of encouragement along the way to get you through the tough times, which were plenty! Most rewarding day of our lives! Highly recommend Mountain Walks. All the aches and pain are worth the laughter and support from this great team. Very well organised walks. The guides helped make the day memorable. They were friendly and encouraging throughout, showing a great passion for their work. They were knowledgeable sharing interesting information on the local area and also how best to complete the activity. I would recommend Mountain Walks to anyone wishing to complete the Yorkshire 3 Peaks or similar walks. Excellent organisation and information pre-walk and good support, knowledge and humor during the walk. Guides even stopped to help someone struggling in the conditions to ensure they were ok and mountain rescue were on way. Would definitely recommend and look forward to booking future adventures!